Sue Delagrange of Cancer Services of Northeast Indiana visits the Warsaw Community Public Library once a month to give information on nutrition and healthy eating. She recommends each person make vegetables a large part of their diet, particularly cruciferous vegetables like broccoli and kale. Staying away from highly refined, processed foods is also suggested. With a definition of “real food” in the background, she reads the ingredients on a box of Ritz crackers which includes unbleached, enriched flour and sugar. She recommends substitutes for processed foods that can be found at a local grocery store in Kosciusko County. 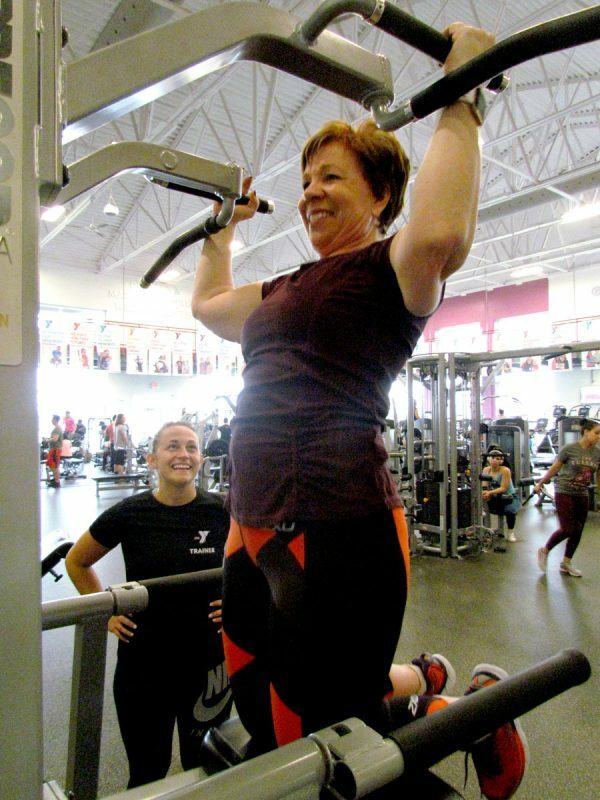 Faith Long, Kosciusko County YMCA wellness coordinator, encourages a healthy balance between life, health and working out. There are many classes and activities available at the YMCA. The century ride challenge and couch potato triathlon are approaching with the triathlon featuring cycling, swimming and running beginning Jan. 14. Classes such as cycling, Zumba, Livestrong and diabetes prevention offer a way to stay healthy for anyone. A longer option and more personalized health plan is the six month My Best Health program. Individuals receive assistance from a personal trainer, wellness coach, registered dietician and registered nurse. Long emphasized they use “body weight, measurements and take all these things to see your progress” so it is not just about what is on the scale. Teaching blood pressure self-monitoring can help those struggling with blood pressure to get and stay healthy. Smoking cessation classes are also available to those hoping to quit smoking in the new year. 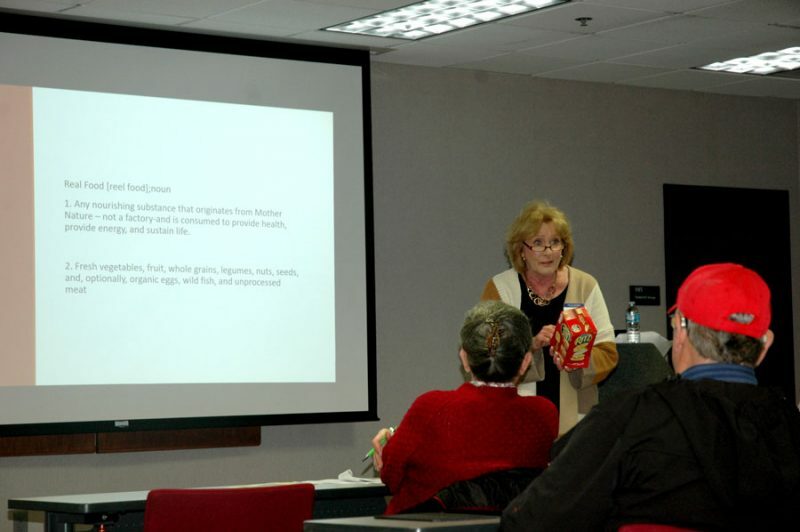 Nutrition seminars will be available again beginning in February. Kosciusko County YMCA has challenges, classes and programs for all areas of wellness and healthy living. Faith Long, wellness coordinator, proposes making small, attainable goals such as losing 1 or 2 pounds a week in order to stay motivated. Pictured is Long working as a personal trainer for Wendy Venable. Personal trainers work individually with each person and hold them accountable so members can reach their fitness goals. Membership typically goes up after the new year and during the winter with people wanting a place indoors to get healthy. Engagement coaches are one of the benefits of membership. These coaches are able to give an overview of the machines and go to a group workout with the member. Members are also able to receive two free sessions with the engagement coach to set up a more personalized workout routine based on that individual’s goals. Those who require more motivation or accountability can then seek help from a personal trainer with different session options available. Warsaw Community Public Library also plays host to Sue Delagrange, an employee of Cancer Services of Northeast Indiana, and a monthly nutrition series. The previous topic was hidden treasures in the grocery store and January will revolve around the popular trend of intermittent fasting. When grocery shopping, many people tend to purchase the same food week after week which can make them miss out on good nutrients. “What is the definition of real food?” Delagrange asked. “That’s what I want you to take away.” She suggests real food that comes from nature and is not processed in a factory is ideal. Reading the labels of everyday items like cream of mushroom soup or Ritz crackers reveals they are highly refined. Corn, potatoes, squash, zucchini and apples are some of the most common genetically modified fruits and vegetables so it is better to choose an organic option when shopping for these staple foods. “I promote 50 percent of your plate coming from vegetables,” Delagrange emphasized and includes a list of uncommon vegetables to try. Bok choy, fennel, microgreens, sprouts and radishes are all good component of a salad. Jicama, tasting like a cross between a pear and cucumber, is naturally high in fiber, low in calories and good for metabolic function. Yucca root is a good substitute for potatoes and mangoes work well in a salsa or as a snack. When eating out it can be easy to make an unhealthy choice. Delagrange recommends reading the menu ahead of time and choosing what you will eat so you are not tempted by the pictures. She also suggests choosing low fat and lean protein such as grilled chicken and chili instead of a hamburger and fries.